The Albany Senior High School Parents and Citizens Association (ASHS P&C) is a long name for a group of people who are simply just interested in the educational, emotional and social outcomes for students at ASHS. The group has two general meetings a term to help generate a cohesive school community of parents, caregivers, teachers, staff and other community members. We foster interest in educational matters that affect the school and the wider public education sector and look at ways to distribute the information. Another role for the P&C is being able to assist the school to provide resources, programs and facilities for the benefit of the students. These funds arise through volunteer contributions and income from the school canteen. 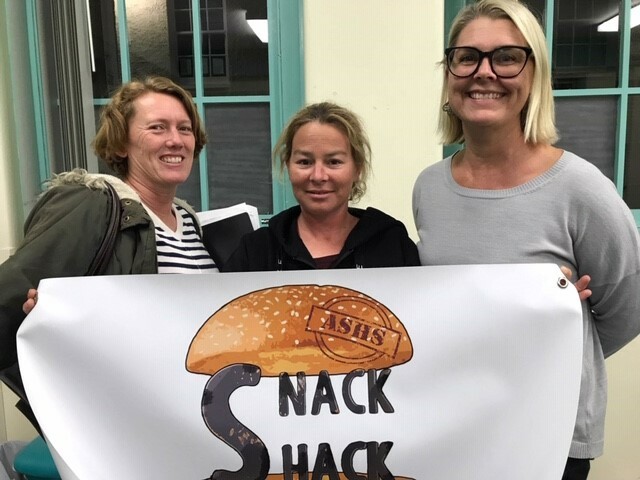 2019 has seen a new start to the school canteen now named the ASHS Snack Shack. It has a greater emphasis on healthy food options with meal choices that have been led by students. The ASHS Snack Shack is managed by P&C volunteers with paid canteen staff to provide a viable business that we can all be proud of. Thanks to these people and the other financial members of the P&C we can continue to support ASHS in many ways. Future and ongoing projects include; recycling and terracycling, canteen waste reduction, parent education sessions and educational resources and programs for students. We welcome new members and love to hear everyone’s suggestions. Currently meetings are held on a Tuesday evening 7pm of Week 3 and 8 in the staffroom. Please email ashs.pandc@gmail.com with any questions or suggestions.